The Open Call HTML5 Challenge for Google Developer Day 2011 kicked off. 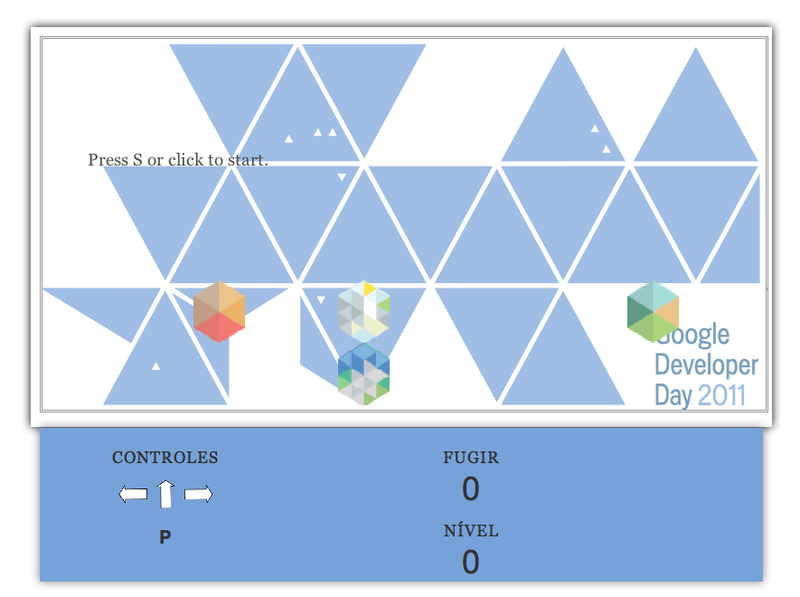 With 2 weeks time to turn around a submission, participants were asked to design and implement an original HTML5 doodle of the Google Developer day Dymaxion map, adding their own local twist. 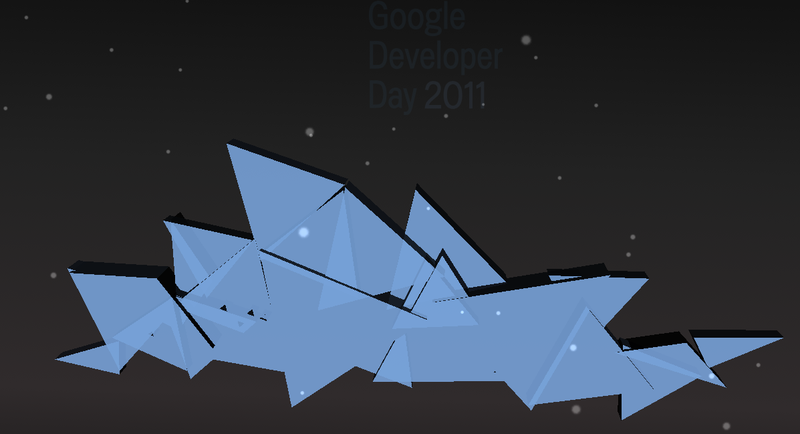 Doodles had to be built using open web technologies (HTML5, WebGL, etc.) and feature a theme locally relevant to the participant’s GDD host country. 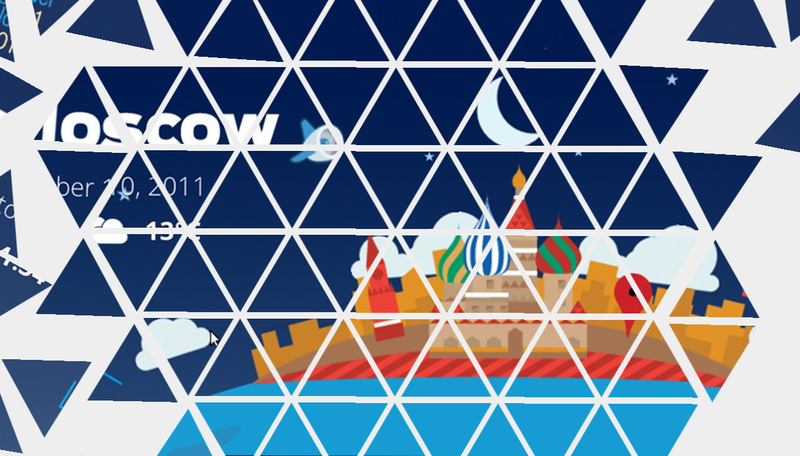 We received submissions from eight countries around the world, which were then reviewed by panels of local HTML5 experts. Overall, the judges were blown away by the creativity and innovation of the submissions. Top entries were selected from each country based on technical execution, creativity, and cultural theming. See below for the judges’ top picks, with descriptions in the creators’ own words. 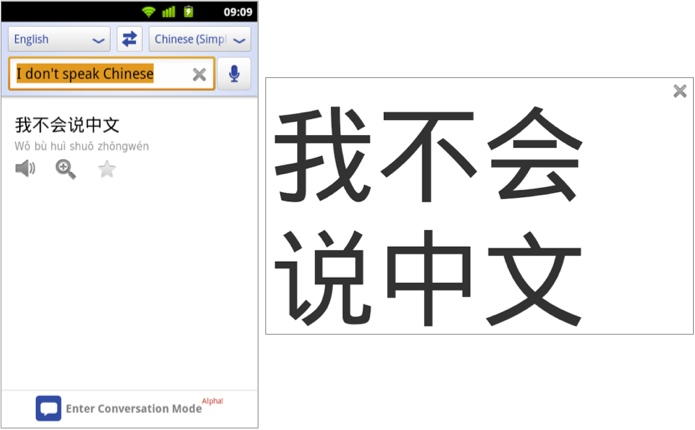 Some of the comments are in the creator’s native language; for translations, use Google Translate. To see a submission in action, click its thumbnail image. How did you do it? Just used html5 canvas to do very simple game functionality and transitions. 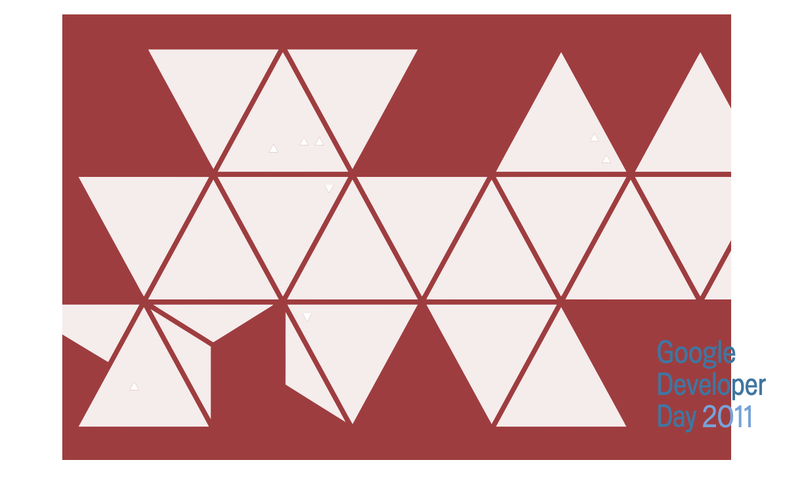 The Dymaxion map turns into an Argentinian flag when the player takes the sun into the map centre. How did you do it? The doodle is created using a HTML5 2D canvas element. 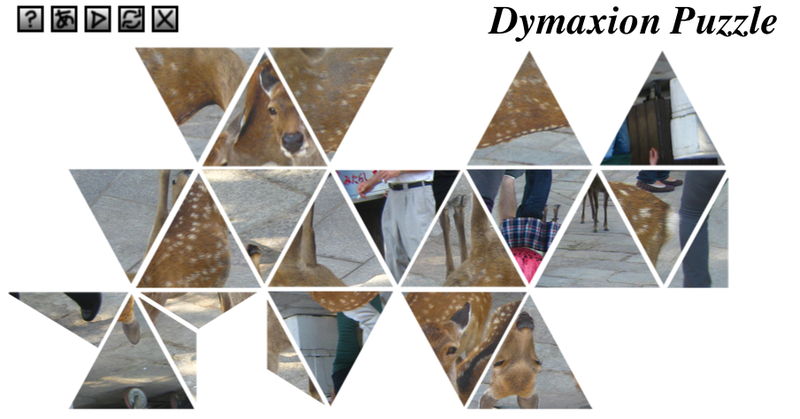 The Dymaxion map is programmatically generated by subdividing the triangles in the original map into smaller sub-triangles and then drawing all of them in different colours based on a colour map representing the image to be drawn. 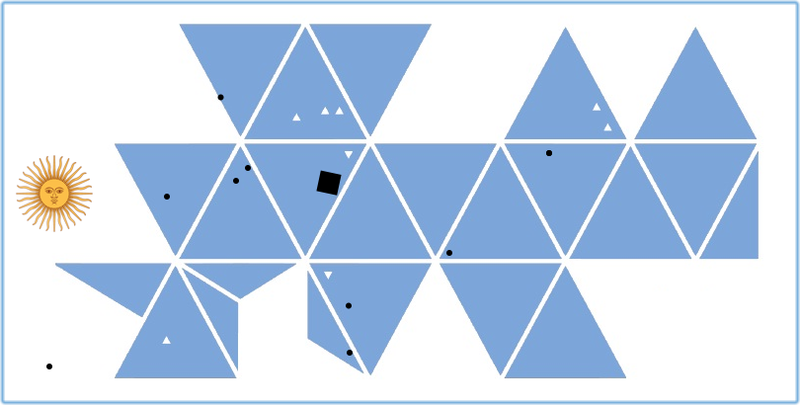 The colour maps were generated using a Java program that mapped the relative location of the triangle onto a target image and then back onto the page colour map. The waves then merge the images, one on top of another, to create the transition effect. How did you do it? I imported the Dymaxion map to Blender and then animated it to transform into the Opera House using “shape keys”. 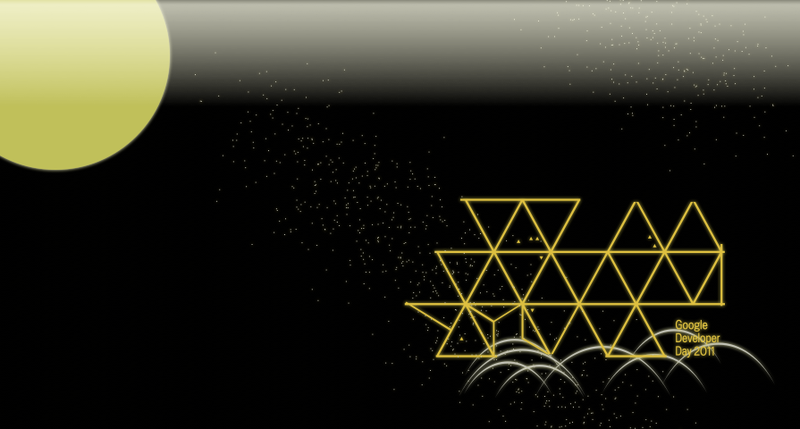 The Dymaxion map, Opera House, Southern Cross and stars all rendered using Three.js. Everything else rendered with normal HTML5/CSS3. How did you do it? 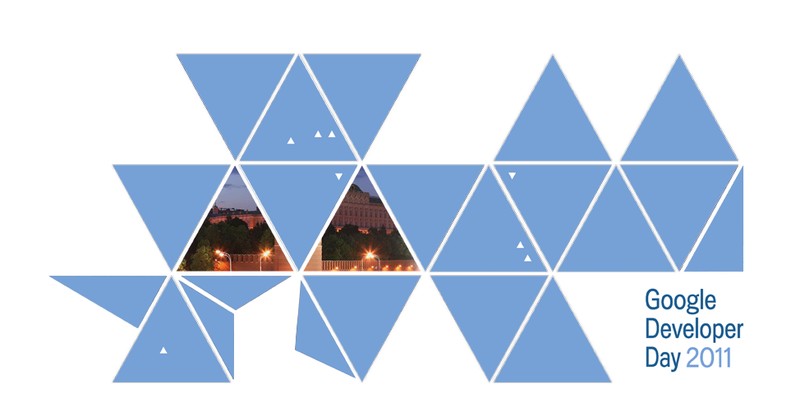 Doodle is a manipulation of the Dymaxion map using HTML canvas element. Interactivity is achieved using native drag and drop events and transitions. 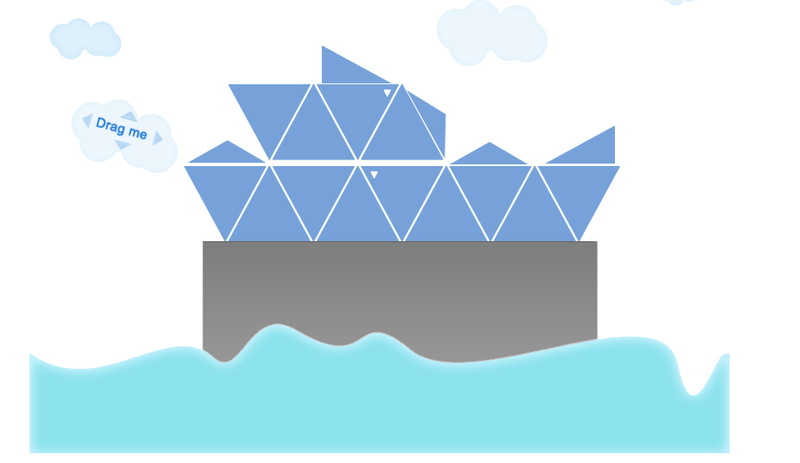 Animations are used to transition between the iconic landmarks of Sydney. How did you do it? A idéia do jogo é fugir das outras cidades que caem no cenário. Utilizei um código antigo que eu tinha de um jogo simples em html ai então só adicionei as imagens. Fiz algumas mudanças. Mas ainda estou pensando em melhorias como pegar aleatoriamente a imagem correspondente de cada cidade. Tratar imagem de colisão. Poucas coisas ainda. Eu fiz isso hoje em 1 hora. O tempo que me restou. How did you do it? É um jogo de memorizar as cores do Google. O que usei: Tags de audio HTML5, Geolocation para detectar o país do jogador, CSS3 para animar os pontos, CSS3 @font-face, CSS3 Cores gradiente e opacidade. How did you do it? 3D objects and animations were created using the program Blender. The movement of the pencils was detected and painted in a 2D canvas html5. The canvas was used as texture for the 3D objects. For the 3D, the library used was Three.js, and for the animations tween.js. How did you do it? 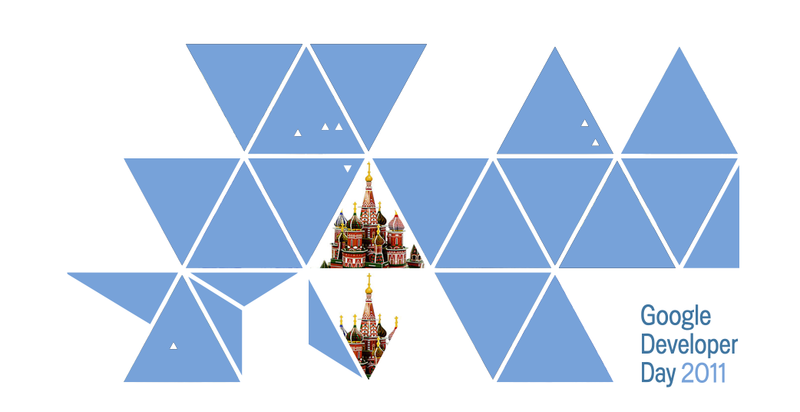 Split SVG Dymaxion map template into small png pieces; position PNG pieces with CSS3 into HTML5 Dymaxion map; read wiki about Icosahedron; reverse engineer positioning of Icosahedron faces in space with Google SketchUp; build 3d icosahedron model with CSS3; Web Audio API Loading Sound via XHR in arraybuffer to play it via the Web Audio API and visualise it on the DymaxionMap (zIndex of elements); canvas mapping; triangle human pictures, using canvas clip(); using of the ecma5 script (forEach and much more); triangle videos by applying SVG mask; Germanizing of the nyan cat by rainbow replacing with German flag; nice fonts with Google Web Fonts. How did you do it? 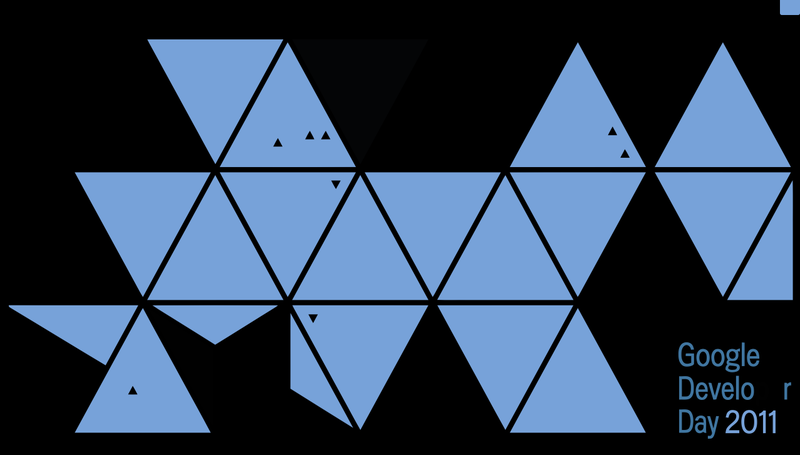 The GDD’s Dymaxion map is a icosahedron, and each of the little triangles is the location of a GDD event; the doodle uses that icosahedron as the second “o” for a Google doodle. Clicking on it will show the GDD logo and information for the Berlin event. 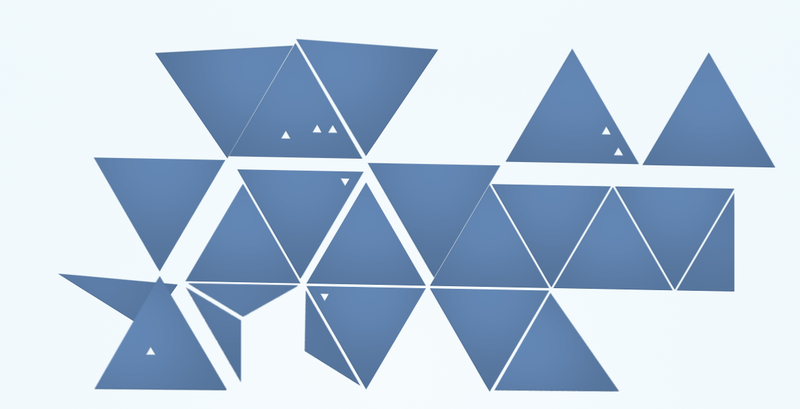 It uses a WebGL canvas to render the icosahedron and the Dymaxion map, and overlays text over it using SVG and CSS3 animations. How did you do it? 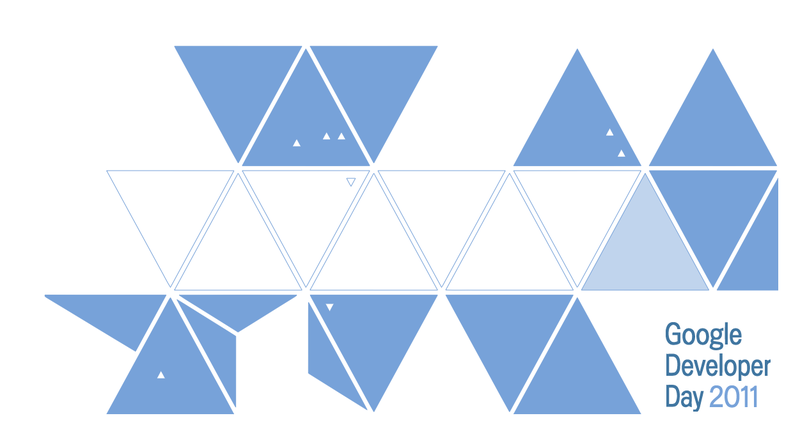 Googlespiel is an interactive HTML glockenspiel. It was built using inline SVG, HTML audio and jQuery. It can be played either by clicking on the ‘keys’ with the mouse or by using the keyboard. When Googlespiel loads it play Fur Elise by Beethoven. The key sounds were created using Apple Logic Studio music software. How did you do it? The title of this doodle is “Thank you the World from JAPAN”. This doodle expresses our gratitude to the people in the world for their hearty support for Japan at the last disaster, with the Japanese traditional style of manner of “OJIGI”. It’s also showing “”Thank you”” tweets all over the world at the location of the Dymaxion map in the background. How did you do it? 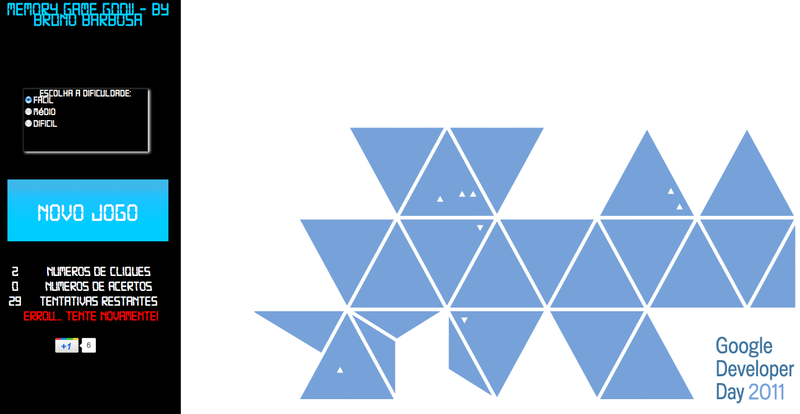 I have been previously creating an object oriented 2d canvas animation library so I used that to create a puzzle game in the shape of the Dymaxion map. It implements MVC design to separate concerns (UI and logic) so it makes the code easy to follow (i hope). 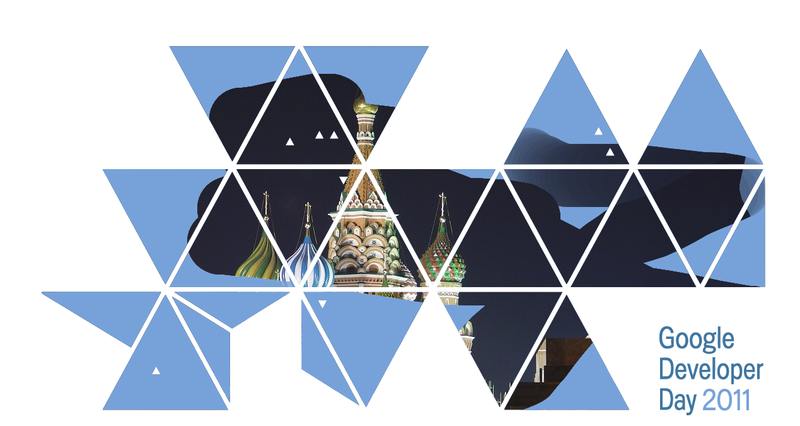 I cut up all the photos into triangles manually, then I had to pinpoint exactly where on the rectangular image the triangle vertices were, so I could create accurate mouse overs. Enjoy. How did you do it? The idea is to show the Dymaxion map so that it would be like on ignition of a fluorescent lamp. The host country area and text letters continue to flicker after turning on. Requires browsers that support inline SVG. How did you do it? 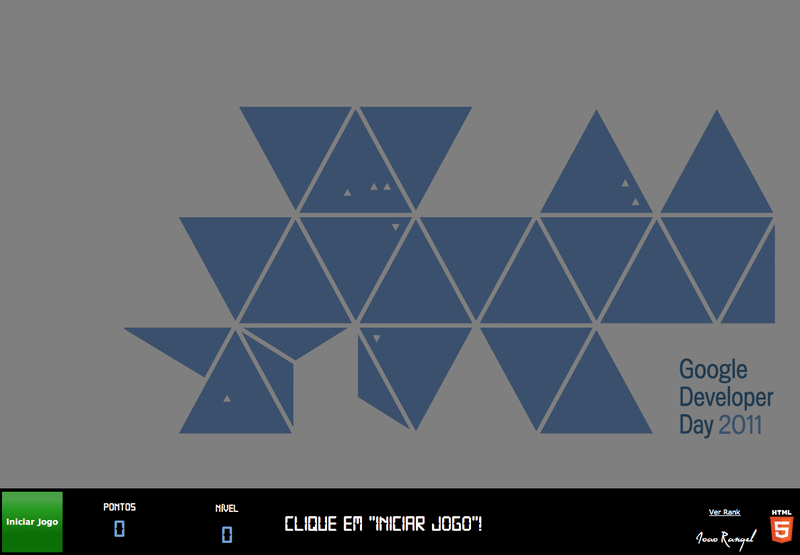 I really love this game and I really love Chrome and HTML5. I’ve made this doodle with great pleasure! How did you do it? This is the Memorize game. 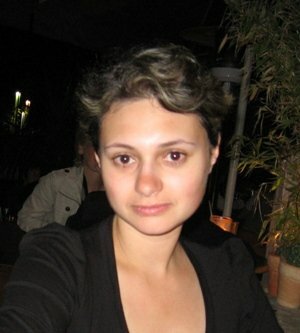 I used jQuery library with plugins. 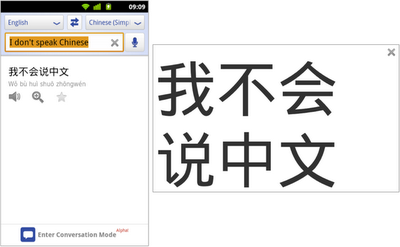 For best compatibility with all modern browsers, I used CSS3 2D transform instead of 3D transform. How did you do it? 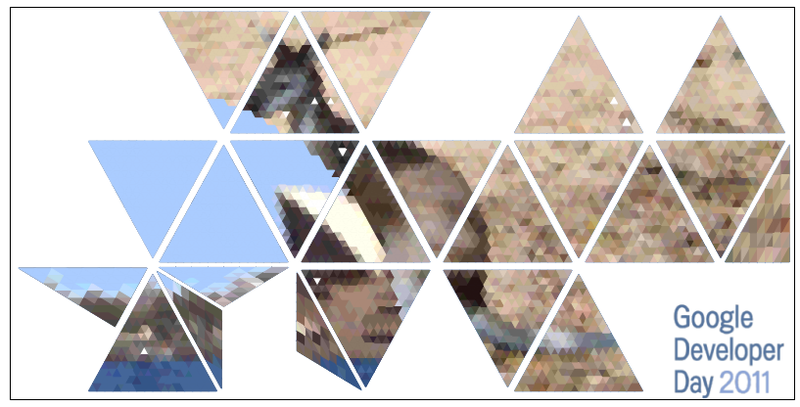 I have used 2 HTML5 canvas objects as layers and performed ‘destination-over’ composition mode to make erasing effect.